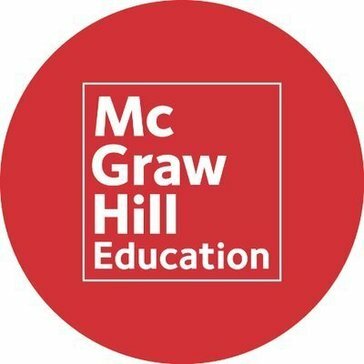 "Positive experience with McGraw Hill"
I like that McGraw Hill Education is student-centered. They have been a leader in the industry for so long and are continuing to keep modernizing the company to keep up with the changing 21st century culture in the current education sector. I also really like the ease of use. All products that I have consumed of theirs have been very self explanatory to use. I am not extremely tech savvy so that really helps someone like me. I honestly do not have any topics of disappointment or dislike with the McGraw Hill company. I've been a user for years and enjoy when they come out with something new that I can try. It helps me educate students. It centers on standards that need to be introduced to those using it and that has really helped me. A benefit is that it gives me so much ample guidance for when I am developing problems that need to be solved by students. * We monitor all Create reviews to prevent fraudulent reviews and keep review quality high. We do not post reviews by company employees or direct competitors. Validated reviews require the user to submit a screenshot of the product containing their user ID, in order to verify a user is an actual user of the product. Hi there! Are you looking to implement a solution like Create?